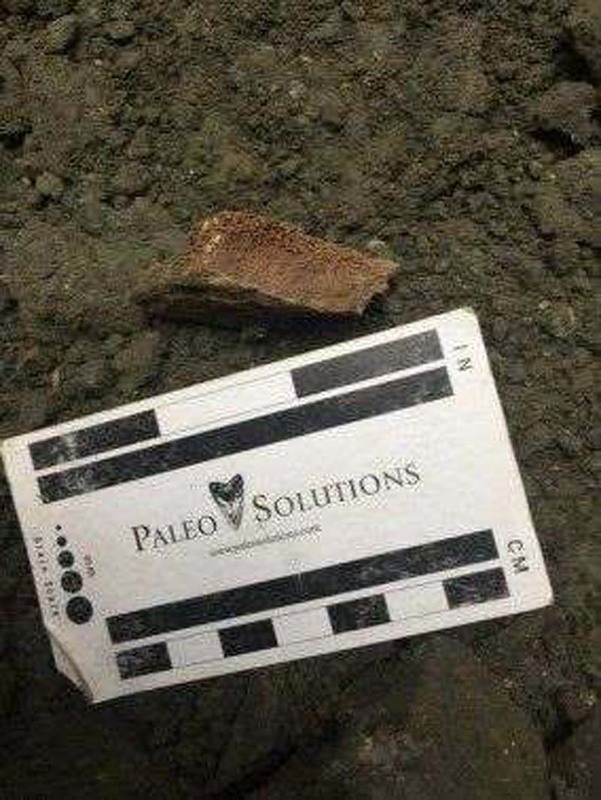 © Photos courtesy Metro The bone was found in a wall at the Broadway station. Paleontologists working with construction crews on a new subway station in Downtown LA have unearthed a rare remnant of an era when the Los Angeles basin sat at the bottom of the ocean. According to Richards, the whale likely lived during the Miocene epoch and is between 10 and 15 million years old. 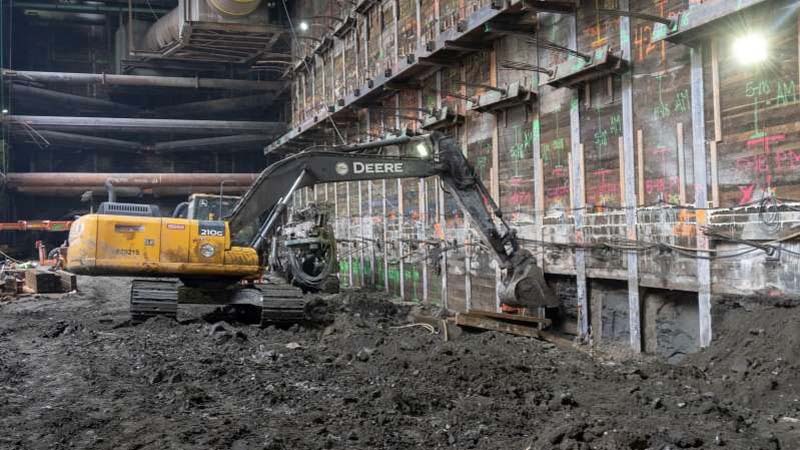 Because the bone was discovered in a wall of the station, the fossil won’t be fully excavated, but fragments chipped away during construction will be donated to LA’s Natural History Museum. The museum is gaining a nice collection of fossils found during work on the numerous tunneling projects underway across Los Angeles. As Metro builds out its rail network, paleontologists are working to ensure relics from the city’s geologic past are preserved and identified when construction crews dig them up. In 2017, prehistoric camel bones were discovered beneath the Purple Line’s future Wilshire/La Brea station. That same year crews working on the Crenshaw/LAX Line found the remains of an ancient sloth below Crenshaw Boulevard. Fragments of the fossil were removed and will be donated to the Natural History Museum. The Regional Connector project, which will eventually connect the Expo and Blue lines to Union Station, brings the possibility of new excavation to Downtown LA for the first time since construction wrapped up on the Red Line in the early 1990s. While the subway was under construction, workers unearthed “the oldest and most diverse collection” of Miocene-era fossils ever found in Los Angeles, says to the Source.